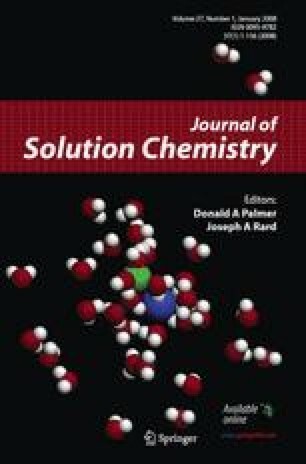 The conductivity of extremely dilute solutions (EDS) was measured and studied in relation to the age of the solutions. The aim was to obtain information about the influence of succussive dilutions and succussions on the conductivity and structure of water. EDS are obtained by iteration of two processes: dilution 1:100 (mass basis) and succussion. The iteration is carried out until extreme dilutions are reached. We found significant increases in electrical conductivity with respect to the untreated demineralized water used as solvent, confirming the intriguing new behavior disclosed some time ago, namely the evolution of certain physico-chemical parameters with the age of the samples. We studied variations in electrical conductivity of samples up to two years old. Conductivities showed large variations reaching a pronounced maximum and, for several samples, then returning to their initial values. The latter fact suggests that the temporal evolution of this physico-chemical parameter does not stem from the slow attainment of an equilibrium condition, characterized by a minimum of energy, since that state, when reached, should be steady. These systems could be far from thermodynamic equilibrium, producing dissipative structures. In order to stay far from equilibrium, they need to dissipate energy. For reasons that are not yet clear, when modified environmental conditions prevent the necessary dissipation of energy, these systems return to their initial conditions. In the light of this interpretation, the succussion procedure may be the trigger for the formation of dissipative structures, the number and/or size of which increase with age, up to a certain point.